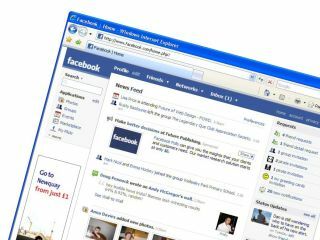 Facebook has been the recent target of a virus attack that could put all 120 million of its users at risk. Nicknamed 'Koobface' – see what they did there? – the virus can't actually be downloaded on the site itself, but through a link to a bogus Flash player upgrade site. As a rule of thumb, TechRadar suggests that if you have never starred in a movie, then it is highly unlikely that you would look 'awesome' in one. So, don't let vanity get the better of you. If you do click on the link, then you will be directed to a fake Adobe Flash Player upgrade site. This is where your computer could get infected and all your personal details, including credit card numbers and passwords cloned. Facebook has released details on how to get rid of the virus on its security pages. Chris Boyd, a researcher with FaceTime Security Labs, told Reuters news: "People tend to let their guard down. They think you've got to log in with an account, so there is no way that worms and other viruses could infect them."